▲HEATHERETTE* NIKKI BUNZ* VYE* CHARLEY SHARP* JOHNNY CAKES* LATOYA* and guest! GRAVY* BUNZ* F*GGOTRY* F*CKERY* B*GGERY! 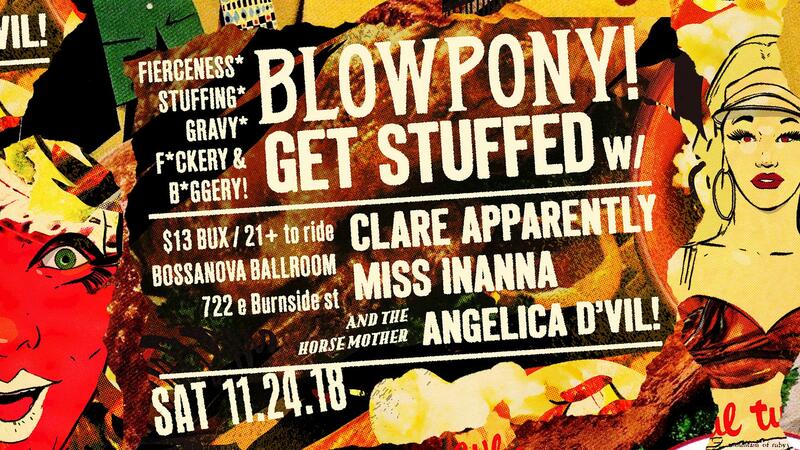 BLOWPONY! 11th annual HOMOWEEN Saturday October 10.27.18!